Teal is one of my fave colors and a couple of days ago I had the chance to wear this teal dress I bought at Patrizia Pepe. I am just in love with this brand, whenever I enter one of their onebrand shops I feel like buying everything !. The feather necklace is from Stradivarius, instead, and is also in teal color as well as the nail polish, named "Tempted by Teal" from a Sephora by OPI collection "Garden of Good and Evil Collection". I actually got asked for the name of the polish on twitter, I often post some pics on Instagram...do you also have it ? If you wanna take a look or follow me, my username on Instagram is princessvalelavale ;-). Il color verde petrolio è senza dubbio uno dei miei colori preferiti e un paio di giorni fa ho avuto l'occasione di indossare questo abito color petrolio comprato da Patrizia Pepe. Adoro questo brand e ogni volta che entro nel negozio monomarca rischio di uscirne con qualche acquisto !. La collana piumata è di Stradivarius, color petrolio come l'abito e come lo smalto Sephora by OPI in versione mini - il nome è "Tempted by Teal" dalla collezione di miniature "Garden of Good and Evil". Il nome dello smalto mi era stato chiesto su Twitter, dove spesso posto foto fatte con Instagram, un'applicazione che adoro...lo usate anche voi ? In caso vogliate dare uno sguardo o seguirmi, il mio username su Instagram è princessvalelavale ;-). Nail Polish: Sephora by OPI - "Tempted by Teal"
I am still wearing boots (in this case, Cesare Paciotti boots), cause it's doesn't seem like Spring has come yet and you should know by now that I am not the kind of blogger that has the courage of going out in light clothes/shoes if it's not warm outside. Be sure I can't wait to wear all the Springtime items I have already bought, including a pair of pale pink pumps I just bought at Fabi, I love them ! I should also stop buying things in mint color...got slightly obsessed with it, I have to confess, and soon you're gonna see it !. 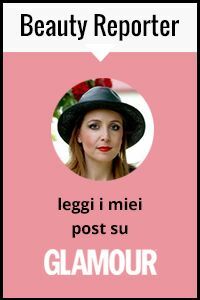 Sto indossando ancora gli stivali (in questo caso, sono di Cesare Paciotti ) perché la Primavera non sembra arrivata e dovreste ormai sapere di me che non sono il tipo di blogger che ha il coraggio di uscire in abiti leggeri e scarpe aperte se non fa abbastanza caldo fuori. Sappiate che non vedo l'ora di poter indossare tutti gli abiti primaverili che ho già acquistato, incluse un paio di décolleté color rosa pallido che ho preso da Fabi e che adoro ! Dovrei smettere inoltre di comprare cose color menta...sono diventata leggermente ossessionata da questo colore, devo confessarlo, e presto lo vedrete !. I just wanted to ask you something...aren't you annoyed by all those captchas you have to write down whenever you are commenting on another blog ? Things got worse since they made them even difficult, at least on Blogger hosted websites. You can turn them off to make it easier for your visitors to comment - I would like you to join me and other bloggers that already turned them off in their personal settings. Without evil Captchas, your comments will likely to increase in quantity and in any case it will be a nice gesture towards your followers/readers !. I would like to know your opinion about this issue :-). One thing is sure, I am proud Fashion and Cookies is a Captchas-free blog !. Vorrei chiedervi una cosa...non siete infastiditi da tutti i captchas che siete costretti a scrivere ogni volta che andate a commentare un altro blog ? Le cose sono peggiorate da quando, almeno sui siti relativi a Blogger, li hanno resi più lunghi e difficili da leggere. Potete eliminarli per rendere più facili i commenti dei vostri lettori - vorrei invitarvi a farlo, come ho già fatto io e hanno fatto molti bloggers che li hanno deselezionati dal pannello di controllo del proprio blog. Senza i malefici Captchas, è probabile che i vostri commenti aumentino e, soprattutto, sarà un gesto gentile verso i vostri followers/lettori !. Mi piacerebbe leggere la vostra opinione al riguardo :-). Di una cosa sono sicura: sono orgogliosa che Fashion and Cookies sia un blog libero dai Captchas !. REMINDER: Two wonderful Giveaways going on ! 1) Fashion and Cookies Bijou Fashion Giveaway until March 13th - the winner will be announced on this blog on the 14th ! :-) So hurry up and enter, only one day left for this one !!! 2) Romwe White Day Giveaway on Fashion and Cookies until March 20th, read more below ! If you wanna win an accessory and 80 $ gift card on Romwe, this is the Giveaway for you ! White Day giveaway is open internationally until March 20th, to enter fill in the Rafflecopter form you find here !. The winner will be announced on March 21st here on the blog :-). Very nice dress, amazing colour! That's such a wonderful outfit, this colour really suits you. Keep it up, can't wait to see more outfit posts! As for the captchas, I find them incredibly annoying as well and turned them off long ago. Teal is one of my favorite colors too! And yes, I hate the captchas! I don't know if I have them on my blog comments or not. I need to figure out how to check. Adoro come hai deciso di abbinare il vestito. La borsa e la collana sono i miei preferiti. anche io ho adottato la politica contro i captcha. that style dress on you is so beautifully flattering. vale that teal color on you is glorious! that feather necklace so much fun. yes i loathe the prove you're not a robot things. grrrrrrrr. They really are annoying and in my opinion un necessary. You look beautiful and very feminine! Il verde ti sta davvero bene!! :) il vestito è carinissimo. Riguardo ai captchas sono d'accordo sono diventati fastidiosissimi: lunghi, quasi impossibili da leggere, insomma una vera seccatura! Beautiful look! This dress id gorgeous! looove the colour of the dress and the bag:) you look amazing! I love how the dress wraps around you...and that teal is gorgeous on you! the feather necklace is so festive! Beautiful dress! I love this colour. I have the same necklace, is cute. Kisses. Wounderfull dress! Im in love! I´m aready folloing you. xoxo! Wow che bella maglia! :) Mi piace molto il colore e come l'hai abbinata! :) Molto carina! :) Baci! è bellissimo!ti sta troppo bene! Non uso Instagram perché non ho l'iPhone, ma lo Smartphone. Quando commenti sul mio blog, ti viene richiesta la captcha? No, vero? wow your blog is just amazing!! Hi! First of all, thank you for your comment! of course im following you, i hope you follow me too...I love italian bloggers, you're so cool and nice! I like the dress a lot. Teal is one of my favorite colors. I think everyone looks good in teal! and i LOVE this dress! its so unique and fits like a glove. perfection! Hey sweetie thanks for your lovely comment.Of course we can follow each other.I follow you now on Google Friend Connect,on Bloglovin' and on Twitter. I would appreciate if you follow back! Your outfi is really pretty,I really like the colour! stai benissimo, questo colore ti dona molto! bellissimo il vestito: sia modello che il colore! You look great, I like your dress! I would love to follow each other! This is a beautiful dress I love the colour :) New follower!